Hungarian Christmas Traditions. Christmas in Budapest. 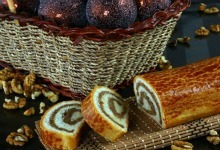 Hungarian Christmas traditions are plenty and make Christmas a unique and special time to share with family and friends. In Hungary, Christmas means time to be together with the loved ones. This is mainly a family celebration. Although, some of these practices have lost importance over the time, there are still many Hungarians who keep them proudly every December. 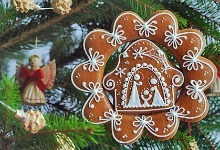 Christmas is a magic time everywhere in the world and in Hungary it is not the exception. Hungarians try to keep their Christmas traditions by decorating nicely their homes, holding their Christmas markets where you find all types of self made ornaments, traditional Hungarian food and local handmade Christmas crafts and having a great family time . 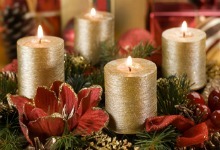 Hungarian Christmas starts with the celebration of Advent (preparation time before Christmas). Advent starts four Sundays before Christmas, at this time families decorate their front yards and tables with beautiful advent wreaths adorned with four candles. Every Sunday before Christmas they lit one additional candle and the last one is lit on Christmas Eve. You can find colorful wreaths in every Hungarian home, even in shops and schools. Most Hungarian children receive an advent calendar. Some calendars have a tiny door for each day in Advent, children usually open one door day and find a Christmas picture and a chocolate candy. If children have been really naughty they get in their boots some goodies and a switch made of dry twigs (virgács)as a sign of warning. Mikulás praises them for the good deeds and calls them off for their naughtiness. Before leaving St. Mikulás gives gifts to the children. In Hungary, the Christmas tree is decorated on the Holy night (December 24). That is why you don’t find Christmas trees in Hungarian homes before December 24th Christmas Eve (Holy Night “Szent-este” in Hungarian) is the most important event of Hungarian Christmas traditions. On this day Hungarians celebrate the birth day of Jesus Christ. In the afternoon of December 24th families get together to adorn the Christmas tree, to have dinner together, to celebrate and to exchange presents. For many Hungarian families this is the only time along the year when big families get together. This day is so important that even public transportation stops at 4 pm for the rest of the night, then drivers can also go home to celebrate with their families. If there are children in the family, the Christmas tree is decorated without their notice. Christmas trees are usually adorned with lights, sparkles (I have to admit that I don’t like the sparkles in the tree) handmade ornaments, gingerbread (which is actually honey bread)figurines and with “szaloncukor”, a Hungarian Christmas candy covered with chocolate and wrapped in silver, gold and red shiny paper tied with bows. 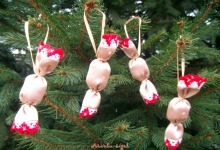 Szaloncukors hang in the tree and guests are always welcome to have them from the tree. Children are taught that it is baby Jesus (Jeszuska) who brings the decorated tree and gifts for all on Christmas Eve and not Santa Claus as in many other countries. Traditionally, in the afternoon of Christmas Eve while adults secretly set up the Christmas tree, children are banned from the room where the Christmas tree will be set up. They are entertained somewhere else in the house or taken to see the city’s Christmas lights by grandparents or older siblings. My family in law keeps this nice tradition and all children in the family get really excited about baby Jesus bringing secretly the tree and gifts. In our family, once the tree is set up, a small bell is played as a sign that baby Jesus has brought the tree and gifts. When kids hear it, they run with excitement to find the presents. Once children see the tree they sing traditional Hungarian Christmas carols and then we give presents. When all the excitement around the Christmas tree has passed we move to the dinner table that is beautifully set for a traditional Hungarian Christmas dinner. A traditional Hungarian Christmas dinner usually consists of carp fish soup, fried fish, turkey, stuffed cabbage and beigli (a traditional winter pastry stuffed with poppy seeds or chestnuts filling). Several Hungarian wines accompany the celebration. Of course, there are always different additions to the dinner as well. At midnight, most religious families attend to the Holy Night mass to religiously celebrate the arrival of baby Jesus with classical Christmas carols and the traditional Christian mass. During December 25 and 26 it is a custom to visit relatives and close friends to have a nice time enjoying Christmas meals and desserts. Christmas itself is a 3 day holiday for most Hungarians. Businesses, offices and shops are closed from December 24th at 2:00 pm , on December 25th and 26th. However many restaurants open during those two days. If these two days fall in a weekend then cinemas in shopping centers are also open.